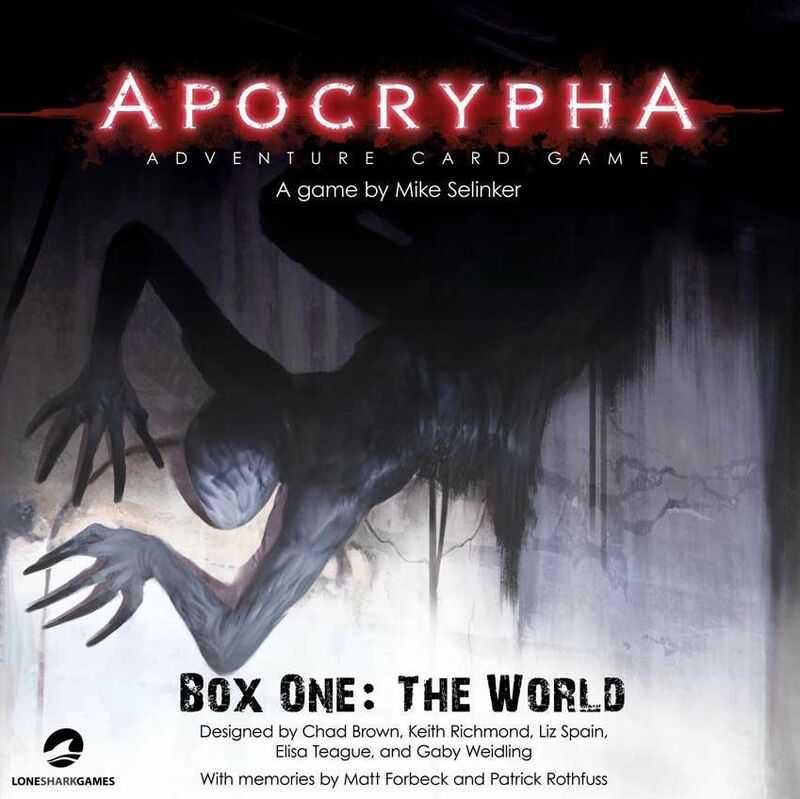 The Apocrypha Adventure Card Game allows you to play it as a cooperative card game, or with a game master as a role playing game. The world is on the brink of an apocalypse, set in motion by monsters only your characters can see. Gameplay is story-based, and features deck construction and character growth. Over time, characters will unlock repressed memory fragments that will add new powers. Each mission has a unique setup and goal, which often involves hunting down a true threat hiding among the cards at the nexuses that characters investigate. The game will be released in a base box that will contain one chapter expansion. The base game, called The World, comes with 584 cards, 20 six-sided dice, 1 rulebook, 1 storybook, 30 dividers, and 10 character stand-up tokens. The remaining eight chapters will appear in two expansions, The Flesh and The Devil, each with 400 cards, 10 dividers, 1 storybook, and 4 character stand-up tokens. Wenst u het gezelschapsspel "Apocrypha Adventure Card Game" aan te kopen?